In an exclusive interview with PakPassion.net, Pakistan Tehreek-e-Insaf leader Jahangir Tareen’s son Ali Khan Tareen, a prominent entrepreneur spoke in detail about the aims behind his intentions to bid for the Sixth Team of the Pakistan Super League, his proposal for a separate Twenty20 tournament for players in the emerging and supplementary category which could help grow the PSL to a new dimension and his vision for the development of cricket in South Punjab. PakPassion.net: What is the prime motivation in your plans to bid for ownership of the sixth franchise in the PSL? 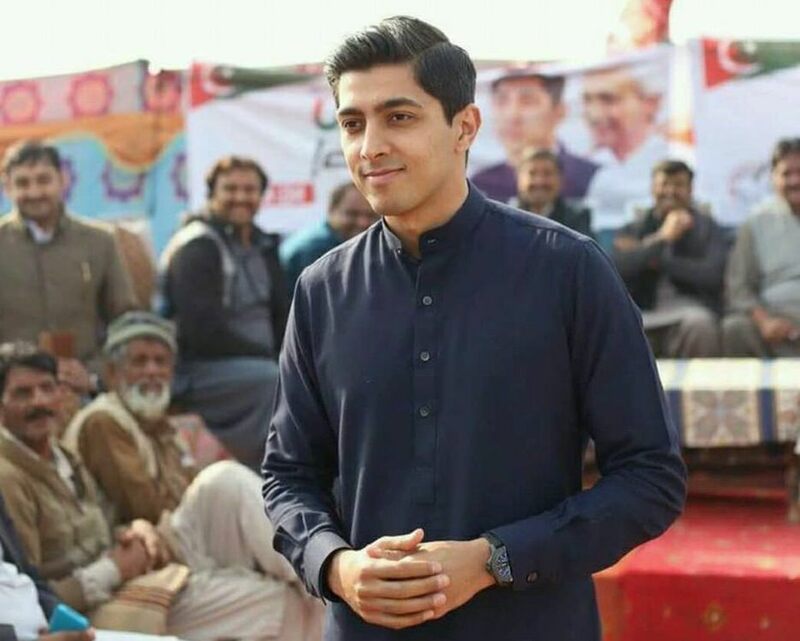 Ali Khan Tareen: The interest in ownership of the Multan team goes back to the time the sixth franchise was first made available for sale as I had been working on some sports projects in South Punjab with local clubs at the grassroots levels. However, I lost interest in this venture when the bid value crossed the $4 million a year mark, as I felt that the Multan team should cost around what the Quetta franchise had cost and definitely not more than what Karachi was worth. In my view, the Multan team could not really compete with Karachi simply in terms of scale, size and sponsorship opportunities so the cost had to reflect that fact which I felt it did not at that time. PakPassion.net: So, your view is that the Multan Sultans franchise was originally sold at a higher price than what it was worth? Ali Khan Tareen: That is absolutely true. But let me clarify that I wasn’t just concerned about the unrealistic worth that the franchise was sold for but the magnitude of the loss that one owner could sustain every year was also prohibitive. Now, my goal is not to take this team on as one person but to get together a consortium which is able to invest and absorb the losses together, which to me is the most sustainable model for this venture. PakPassion.net: So with the franchise now available once again, that interest seems to have been rekindled? Ali Khan Tareen: Yes, Schon Group bought the Multan franchise but that wasn’t the end of my interest in this team. As I was running sports programmes in South Punjab which included making cricket academies and new grounds, I became engaged in negotiations to run the Multan player development program which was very similar to what I had been doing. However, due to a lack of funds, this project did not go forward. Now that the sixth franchise is once again available for sale, I thought that this would be a good opportunity to get together with like-minded people with a focus on developing cricket in South Punjab. With my sports project now up and running and active in four districts of South Punjab, the ownership of the sixth franchise would provide an excellent pathway for my players to first play in my local leagues, on to a place in the PSL and then hopefully move up to the Pakistan side. PakPassion.net: Are you confident of being successful in your bid to take ownership of the sixth franchise? Ali Khan Tareen: That depends on the strengths of the other bidders. As far as we are concerned, we will do what is needed in terms of due diligence and the formation of a robust cricket development plan. We are hoping that the Pakistan Cricket Board will like and appreciate that plan which is something they are well aware of for a few years now. So, I am hoping that they appreciate the vision I have for South Punjab cricket. Obviously, PCB will be legally obliged to hand over the team to the highest bidder as long as they are technically qualified. PakPassion.net: What is the appeal of owning a PSL franchise when most observers would feel that this could be a loss-making venture in the first few years? Ali Khan Tareen: To put it simply, it puts rocket-power behind my South Punjab player development program. The synergies that will result due to a potential ownership of the Sixth Team will be tremendous. We will be developing and building leagues in the 14 districts of Punjab and so it would make so much sense for the end product to have a PSL team which would have the same name and be run by the same person or company. It’s a good opportunity due to this reason but only at a good price and if like-minded people are on-board in this quest. PakPassion.net: Looking ahead, if your bid for the sixth team is successful, do you intend to persist with the name of Multan Sultans? Ali Khan Tareen: I will definitely have the name Multan in the name of the team but whether it will have the word ‘Sultans’ in it is more of a legal matter than anything else which will need to be discussed. If there is no issue, then I would prefer to keep the name as Multan Sultans just for the sake of simplicity. PakPassion.net: We’ve had 3 seasons of the Pakistan Super League so far, how do you think it has grown and what in your view are the steps necessary to make it even bigger? Ali Khan Tareen: I have had discussions with the current owners of the franchises, as well as some of the sponsors who are still there and also to those who have left after one year. All of them, and specially the sponsors seem to have one issue which they have highlighted which, simply put, is ‘too much money being spent for too little time’. To put it in numbers, some of the sponsors spend approximately 80% of their marketing budget on a 22-day tournament and therefore have very little money left for the remainder of the year. So, what I have suggested to the PCB and something I hope to lobby for if I am successful in my bid for the franchise, is to have a separate tournament held in the winter season for the emerging and supplementary category players of the PSL. The reason behind this is that this group of players are the young talent of Pakistan and they will not always realistically get a chance to play in the main tournament. If this proposal is implemented, the franchises will take their emerging and supplementary picks more seriously and invest more time to find better players in such teams. Additionally, such players will get more exposure. The matches will be televised, and such matches can be held in stadiums in Pakistan such as Multan, Faisalabad or Rawalpindi with home and away games which would really allow people to connect more with PSL teams than ever before. In terms of the sponsors, they will get twice the mileage in terms of benefits from television slots as well as people going to the matches. There will also be better gate receipts which would help out all stakeholders. In my view, that is a crucial tournament for the PSL management to consider in terms of player development and making sponsors happy. PakPassion.net: There is a popular view that PSL can only be successful if it moves completely to Pakistan. Do you think that is true and would you like to see more matches being played in Pakistan? Ali Khan Tareen: We hope and pray to the Almighty that one day all the PSL matches will be played in Pakistan. In fact, I will go as far as saying that I would even be happy if we had less foreign players as long as all matches were played in Pakistan. So, if there were even one or two international stars in these teams, I would be fine with it, but the matches have to be played in Pakistan and moreover, played in the home cities of each of the franchises. It defies belief that Multan Sultans cannot host a game in Multan when they have such a beautiful stadium which is just being wasted at the moment. PakPassion.net: The concept of hosting home games for each of the franchises does sound very attractive. Ali Khan Tareen: I can assure you that you will get the most benefit for sponsors, players and the local audience when you have home and away matches so that for example, the Multan supporters can say with pride that the Multan stadium is hosting ‘our own’ team. That is exactly how you build loyalty with fans and also get local sponsors on board when you are able to have home matches against other rivals. This is what is done in NFL, NBA or in any good international football or sports franchise-based tournament. To me, that is the future of the PSL and that is how it will really grow and a quick short-cut to that future is to have a supplementary and emerging players tournament during the winter season in Pakistan playing home and away matches against other PSL franchise teams. PakPassion.net: Is the PSL doing enough to give young Pakistan players a proper chance, especially when we see a number of impressive domestic players missing out on the tournament? Ali Khan Tareen: Of course, there have been some fantastic young talents in the shape of Fakhar Zaman and Shadab Khan who have emerged out of the PSL which is wonderful for Pakistan cricket. But we need to do more which is why I am so adamant that we have to have a winter season tournament which focuses only on young emerging and supplementary category players so that they can showcase their talent at the highest level as part of the PSL tournament. This type of tournament is a necessity if we are to discover these gems. PakPassion.net: Steve Smith, Shoaib Malik and Shahid Afridi – That seems to be the basis of a very interesting line-up for the Sixth Team. Are you happy with the players included in this team? Ali Khan Tareen: Undoubtedly this is a strong line-up, but we would have been happier if we had secured the rights to this team before the draft. Regardless, the management did a good job to pick a pretty solid team and I wouldn’t make any big changes there. PakPassion.net: What are the next steps to this process of acquiring the Sixth Team? Ali Khan Tareen: The tenders for ownership rights for the Sixth Team have been released recently and by the 18th of December, all the bidders should have prepared and submitted their documents to the PCB. But before that, on Tuesday 4th December, the PCB will release the bid documents for all the bidders to review and go through and to prepare their offers. Hopefully, I will have some partners on-board soon who I am speaking with these days and we should have some good news regarding that aspect of the venture. We should then have a pretty good partnership as we look to get the team ownership sorted. PakPassion.net: Are you confident that you will be successful in your bid for the Sixth Team? Ali Khan Tareen: In preparation for our offer, I have been meeting up with some of the other bidders over the past week in an effort to either collaborate to make a joint bid as part of a consortium or at the least to find out what their vision for the team is, and what city they wish to be associated with the Sixth Team. So, there have been many parties that are interested in this bid but of the 9 serious bidders, 5 are expected to make a concerted push for ownership of the team. There are two parties among this group who I know personally who have similar strong visions of the team as myself. I am hopeful that we can all probably put together a good financial package and also agree on a vision to bring cricket back to South Punjab. PakPassion.net: Can you tell us a bit more about your vision for the development of cricket in South Punjab? Ali Khan Tareen: The main idea is to build a cricket ground of top quality in every district of South Punjab and then get all the clubs who unfortunately cannot play cricket on a regular basis due to the absence of proper infrastructure to play on these grounds on a daily basis. So, every day there are two matches on these grounds. In this way cricket is continuously played on these grounds for at least 8 months of the year and then we also have an academy for high potential players who we feel will, one day, play first-class cricket. This is the standardised model we wish to spread all over South Punjab where the four districts namely Rahim Yar Khan, Bahawalpur, Lodhran and Multan will be doing this from January. In the history of Pakistan cricket, no one from Lodhran has ever played first-class cricket. What we are really proud of is that despite that, last year we started this project there and made a ground, started an academy and started the matches. Two months ago, Shoaib Bilal, an 18-year-old resident of Lodhran was selected by Multan region and played first-class cricket this season. All this happened because we provided a ground to play on where Shoaib’s club played matches and we gave him net practice every day. So, we have had success already in our pilot project so just imagine what we can do when we roll this out as part of our PSL brand all over South Punjab.